I made a point of visiting Berlin’s Humana (similar to a US GoodWill) when in the German city a couple days ago. I love to see the different vintage styles that each European city has. Amsterdam is saturated in hip, bright 90s vintage, and Berlin doesn’t seem to be too different. However, what I found particularly interesting about Berlin vintage is that a portion of it belonged to East Berlin, which was dominated by DDR-sponsored fashion. Which meant cheap, plastic fabrics and styles that tended to run behind Western Germany’s trends. But this unique fashion history makes Berlin that much more interesting while shopping for vintage. The Humana I visited in Berlin just happens to be the largest one in all of Europe, and I spent a number of hours diligently scouring each of the four floors for great vintage finds to add to my Etsy shop, The Gibbson Girl. 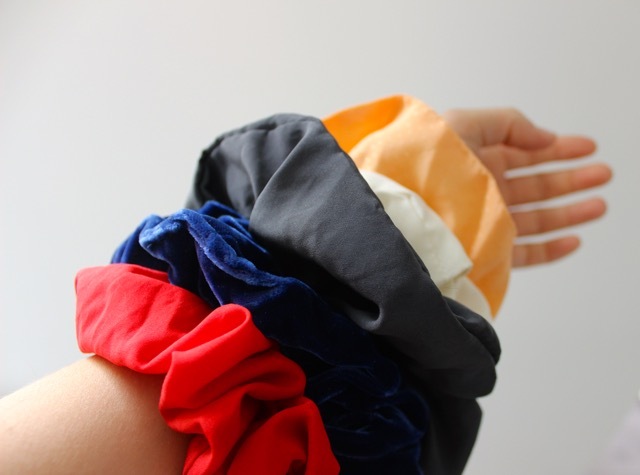 To my luck, I discovered five handmade vintage scrunchies and snatched them up immediately. What a unique find that seems to me to represent the 80s/90s vintage vibe of Berlin today and the ingenuity of East Berliners who strove to reflect their individuality in a stifling society. 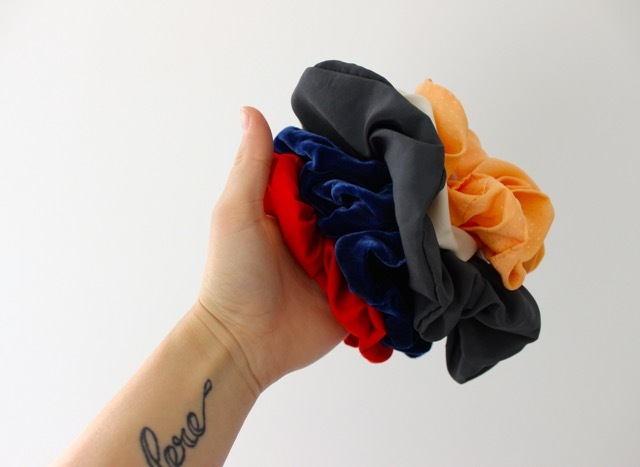 Check back soon on The Gibbson Girl to see these scrunchies again! This post is #59 of the #The100DayProject. For more updates on my progress, be sure to follow me on Instagram and look for the hashtage, #100DaysofMiaPrima.